To Italian-born Joseph Stella, who immigrated to New York at the age of nineteen, New York City was a nexus of frenetic, form-shattering power. In the engineering marvel of the Brooklyn Bridge, which he first depicted in 1918 and returned to throughout his career, he found a contemporary technological monument that embodied the modern human spirit. 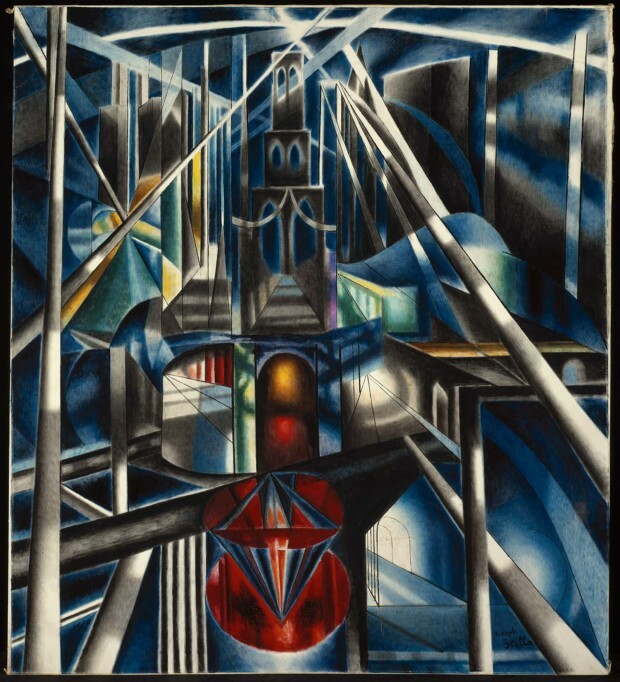 Here, Stella portrays the bridge with a linear dynamism borrowed from Italian Futurism. Stella transformed the Brooklyn Bridge into a twentieth-century symbol of divinity, the quintessence of modern life and the Machine Age. Sorolla, a Spanish impressionist painter was a great success in United States. 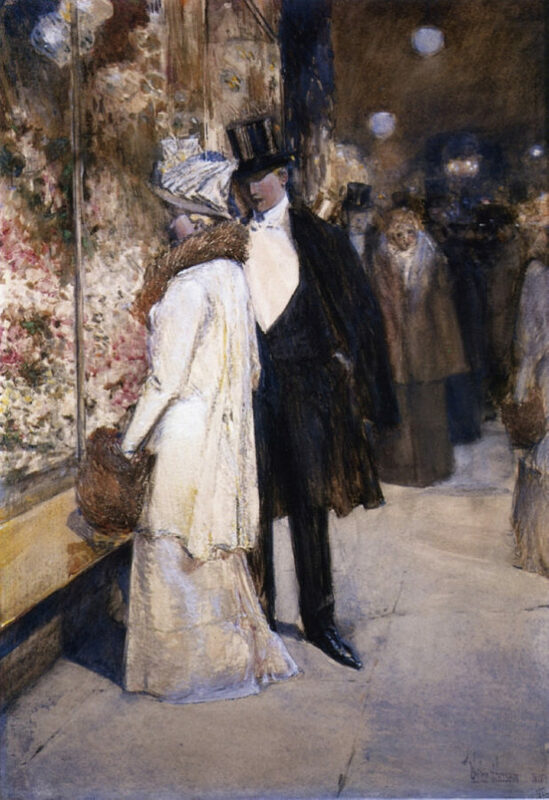 This work is very interesting as it shows an “urban Sorolla” hardly seen in his large works. 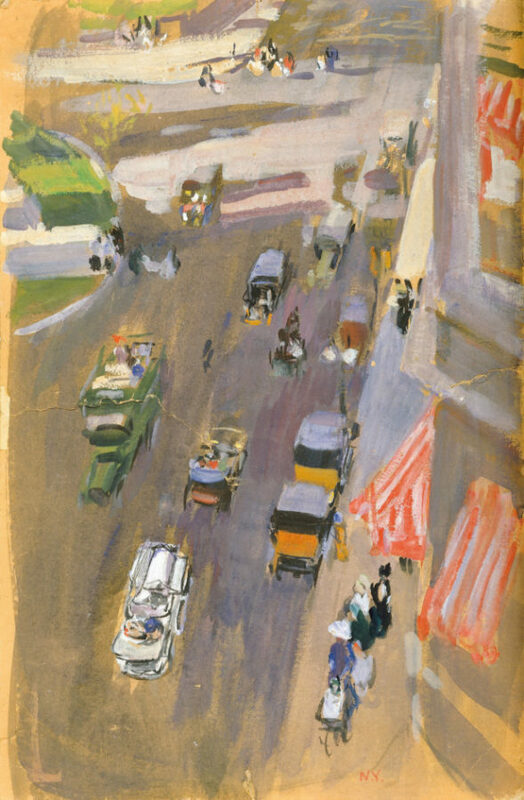 The painter can be seen working from the window of his room in New York in this gouache, with a view over Fifth Avenue. The quick brushstrokes on the card capture the dynamic urban life filled with automobiles. Sorolla recognised these as signs of “modern life”. 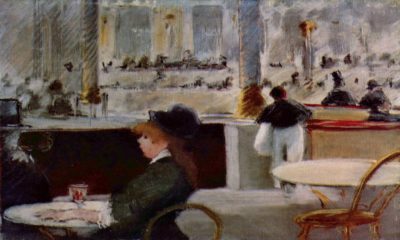 The parallels with major Impressionist works, like Caillebotte, Pisarro works are clear. 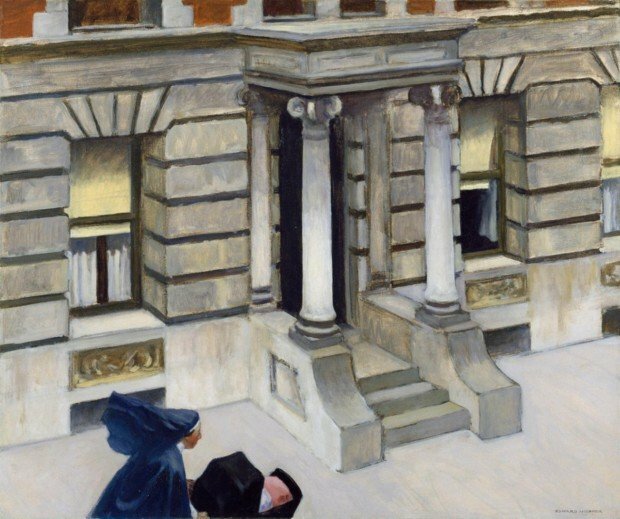 Edward Hopper’s haunting realist canvas evokes an enigmatic emptiness that has become the artist’s trademark. His sparsely populated New York cityscapes, bleak New England views, and lonely interiors share the same stark simplicity. In New York Pavements Hopper used bold cropping, an elevated point of view, strong diagonal lines, and a simple, bleached palette to achieve an odd and detached effect. 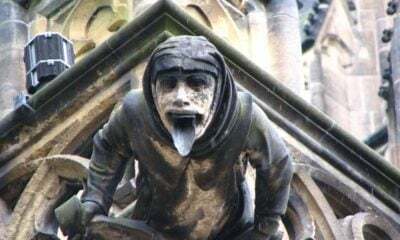 From a bird’s-eye perspective, the only hint of narrative is the figure emerging from the lower left. 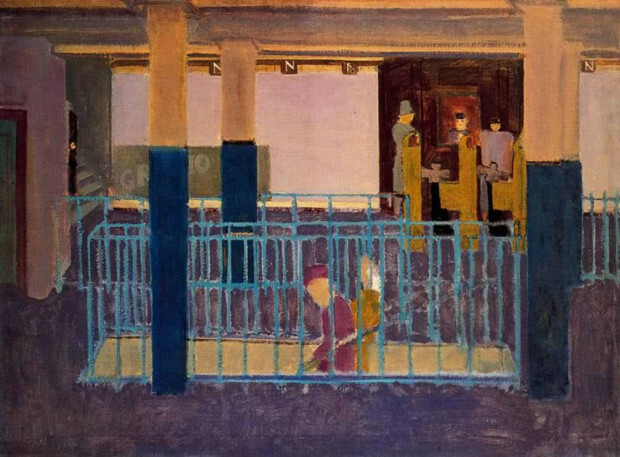 Rothko’s street scenes and subway pictures of the 1930s, created before his famous abstract phase have been compared to examples of Depression-era realist painting, but this resemblance is likely based on the perception of a shared urban motif. Rather than providing a “realistic” portrayal of the city life, Rothko seems far more interested in conveying the perceptual experience of architectural space, using abstract compositional arrangements to explore the relationship between the painting and its viewer, an element that would play a critical role in the artist’s later works. 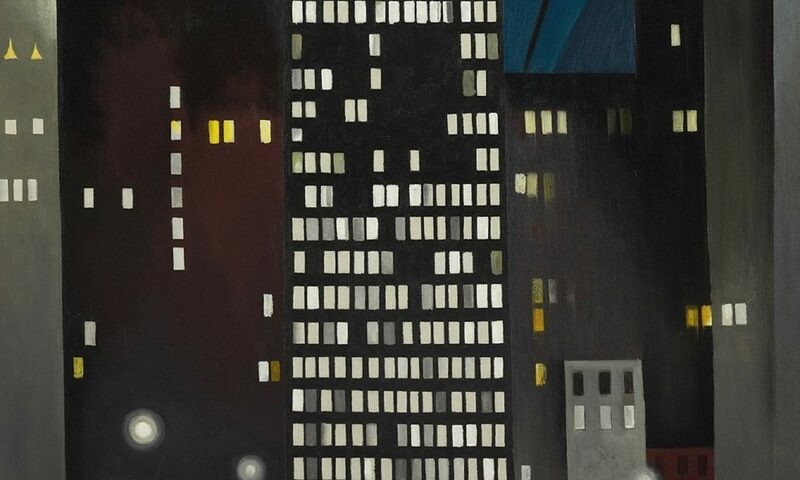 Georgia O’Keeffe created a series of paintings of New York skyscrapers between 1925 and 1929. 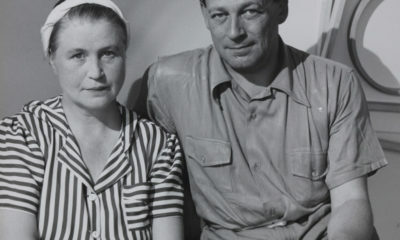 They were made after O’Keeffe moved with her new husband into an apartment on the 30th floor of the Shelton Hotel, which gave her expansive views of all but the west side of the city. 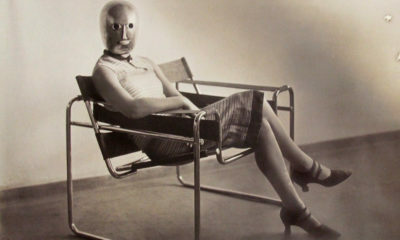 She expressed her appreciation of the city’s early skyscrapers that were built by the end of the 1920s. 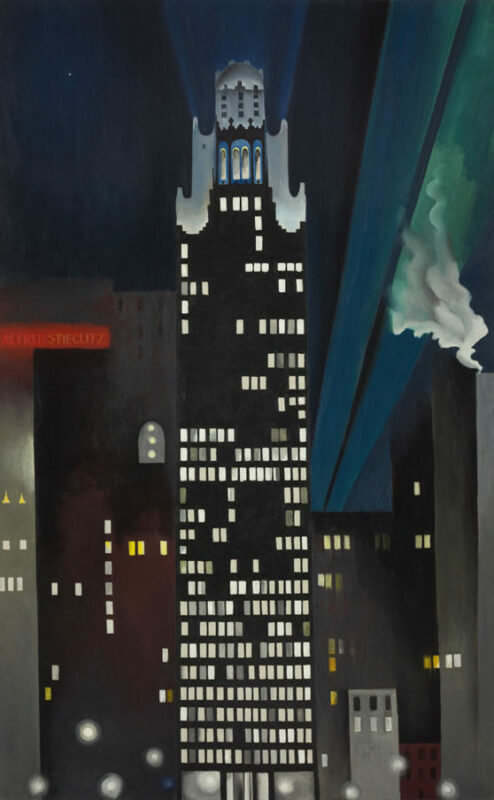 One of her most notable works, which demonstrates her skill at depicting the buildings in the Precisionist style, is the Radiator Building—Night, New York, of the American Radiator Building. In Frozen Assets, Rivera coupled his appreciation for New York’s distinctive vertical architecture with a potent critique of the city’s economic inequities. 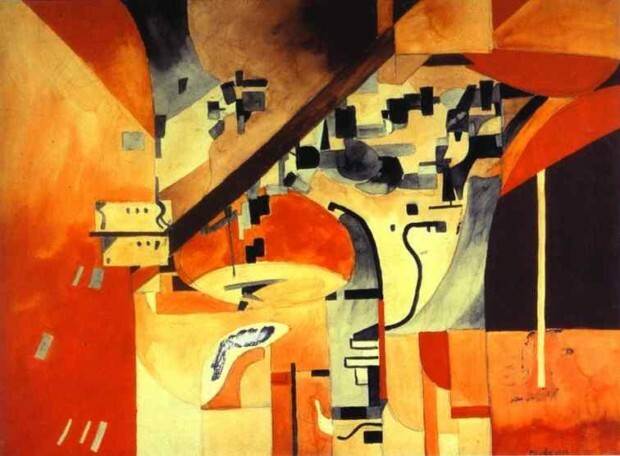 The panel’s upper register features a dramatic sequence of largely recognizable skyscrapers, most completed within a few years of Rivera’s arrival in New York. 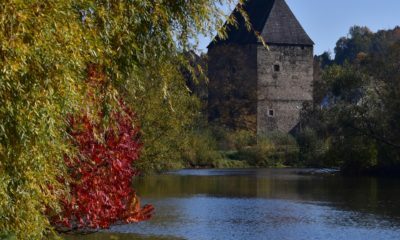 In the middle section, a steel-and-glass shed serves as a shelter for rows of sleeping men, pointing to the dispossessed labor that made such extraordinary growth possible during a period of economic turmoil. Below, a bank’s waiting room accommodates a guard, a clerk, and a trio of figures eager to inspect their mounting assets in the vault beyond. 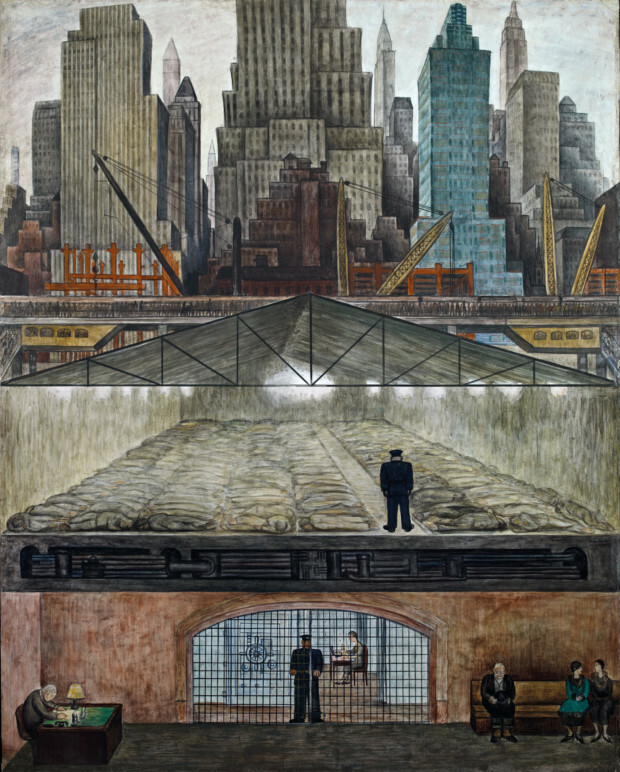 Rivera’s jarring vision of the city—in which the masses trudge to work, the homeless are warehoused, and the wealthy squirrel away their money—struck a chord in 1932, in the midst of the Great Depression. New York City I, or rather the series of works later brought together under the title New York City, marks the beginning of a new phase in Mondrian’s work. 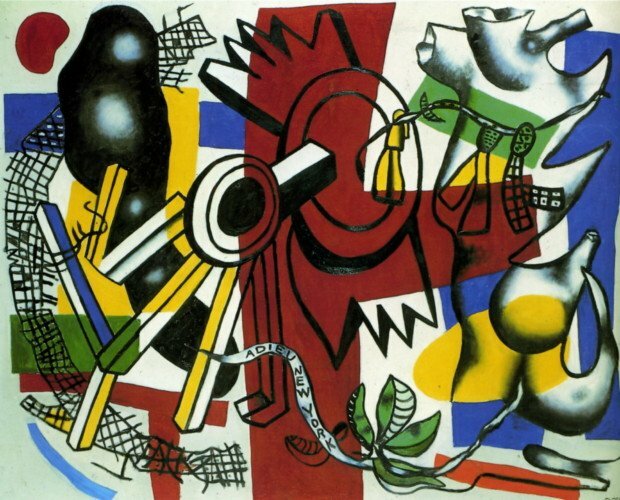 The black lines have disappeared along with the rectangles of primary color, which since the 1918 Composition: Color Planes with Gray Contours had formed a solid flat totality with the lines and the white that had previously been the background. 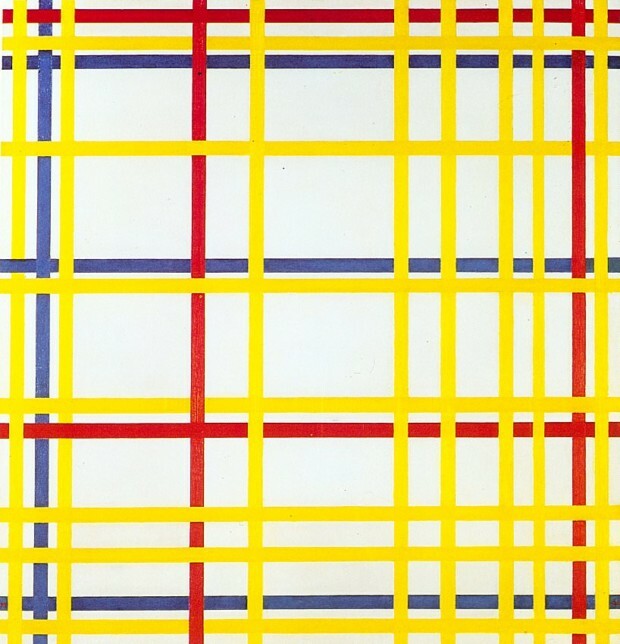 Instead, lines in the primary colors – yellow, but also red and blue – traverse the square canvas, interweaving with each other.